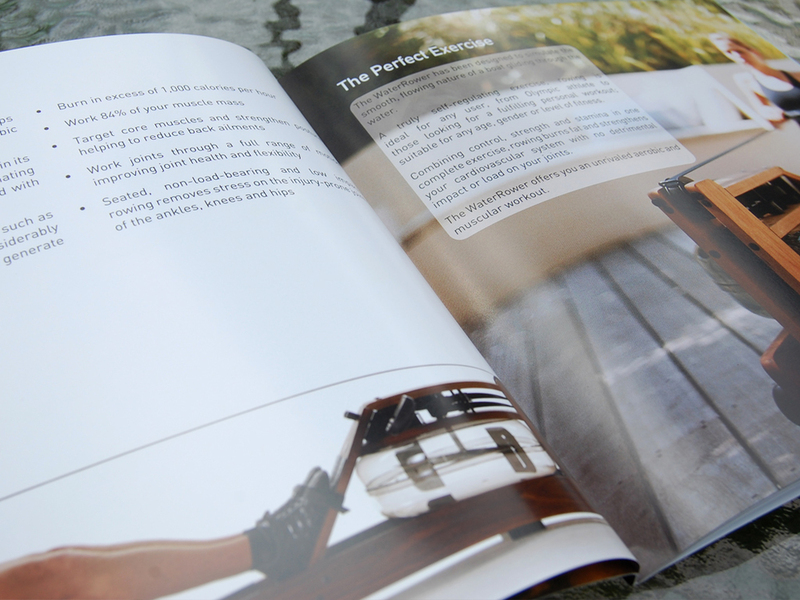 These brochures are sent out to customers and retailers to provide information on the WaterRower line of products. The cover was printed with a satin-like feel and embellished with foil stamp. The inside pages are printed on a heavy text stock. View a PDF of this document here.